Gartner Solutions Expo a Good Gauge of the Security Industry? In 2006, there were two types of solutions that seemed to dominate the floor: network admission control and data leakage (with the old reliable identity and access management coming in a strong third). This year, the NAC vendors were almost all gone and there were many fewer data leakage vendors than I had expected. Nor was there any one type of solution that really seemed to dominate. ...that's probably because both of those "markets" are becoming "features" (see here and here) and given how Gartner proselytizes to their clients, features and those who sell them need to spend their hype-budgets wisely and depending upon where one is on the hype cycle (and what I say below,) you'll see less vendors participating when the $ per lead isn't stellar. Lots and lots of vendors in a single quadrant makes it difficult to differentiate. The question is: What does this mean? On the one hand, I continue to be staggered by the number of new vendors in the security space. They seem to be like ants in the kitchen -- acquire one and two more crawl out of the cracks in the window sill. It's madness, I tell you! There were a good half a dozen names I had never seen before and I wonder if the number of companies that continue to pop up is good or bad for our industry. It's certainly good that technological innovation continues, but I wonder about the financial status of these companies as funding for security startups continues to be more difficult to get. There sure is a lot of money that's been poured into security and I'm not sure how investors are going to get it back. 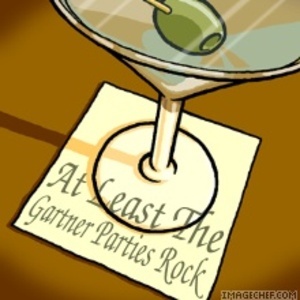 Booth space at the Gartner show is one of, if not the most, expensive shows on the planet when you consider how absolutely miserable the scheduling of the expo hours are for the vendors. They open the vendor expo at lunch time and during track sessions when everyone is usually eating, checking email, or attending the conference sessions! It's a purely economic issue, not some great temperature taking of the industry. I suppose one could argue that if the industry were flush with cash, everyone showing up here would indicate overall "health," but I really do think it's not such a complex interdependency. Gartner is a great place for a booth if you're one of those giant, hamster wheel confab "We Do Everything" vendors like Verisign, IBM or BT. I spoke to about 5 vendors who had people at the show but no booth. Why? Because they would get sucked dry on booth costs and given the exposure (unless you're a major sponsor with speaking opportunities or a party sponsor) it's just not worth it. I spoke with Ted Julian prior to his guest Matasano blog summary, and we looked at each other shaking our heads. While the quality of the folks visiting are usually decision makers, the foot traffic is limited in the highly-compressed windows of availability. The thing you really want to do is get some face time with the analysts and key customers and stick and move. On the other hand, it seemed that there was much less hysteria than in years past. No "we-can-make-every-one-of-your-compliance-problems-vanish-overnight" or "confidential-data-is-seeping-through-the-cracks-in-your-network-while-you-sleep-Run!-Run!" pitches this year. There seems to be more maturity in how the industry is addressing its buying audience and I find this fairly encouraging. Despite the number of companies, maybe the industry is slowing growing up after all. It'll be interesting to see how this plays out. Well, given the "Security 3.0 theme" which apparently overall trends toward mitigating and managing "risk", a bunch of technology box sprinkling hype doesn't work well in that arena. I would also ask whether or not this really does represent maturity or the "natural" byproduct of survival of the fittest -- or those with the biggest marketing budgets? Maybe it's the same thing? 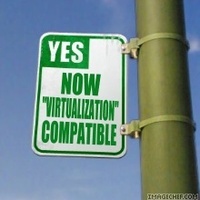 I've been doing a bit of writing and speaking on panels recently on the topic of virtualization and the impact that it has across the entire spectrum of risk; I think it's fairly clear to most that virtualization impacts all aspects of the computing landscape, from the client to the data center and ultimately how securing virtualization by virtualizing security is important. Gartner just released an interesting article that says "Organizations That Rush to Adopt Virtualization Can Weaken Security." Despite the sensationalism that some people react to in the title, I think that the security issues they bring up are quite valid. I'm glad to see that this study almost directly reflects the talking points that we've been puttering on about without any glaring omissions as it validates the problem space; it doesn't take a rocket scientist to state the obvious, but I hope we get solutions to these problems quickly. Virtualization software, such as hypervisors, represent a new layer of privileged software that will be attacked and must be protected. The loss of separation of duties for administrative tasks, which can lead to a breakdown of defense in-depth. Patching, signature updates, and protection from tampering for offline VM and VM "appliance" images. Patching and secure confirmation management of VM appliances where the underlying OS and configuration are not accessible. Limited visibility into the host OS and virtual network to find vulnerabilities and assess correct configuration. Restricted view into inter-VM traffic for inspection by intrusion prevention systems (IPSs). Mobile VMs will require security policy and settings to migrate with them. Immature and incomplete security and management tools. I'm going to be presenting something very similar at the ISSA Metro event in Charlotte on April 10th. I'll upload my presentation ahead of time for anyone who might find it useful or interesting.